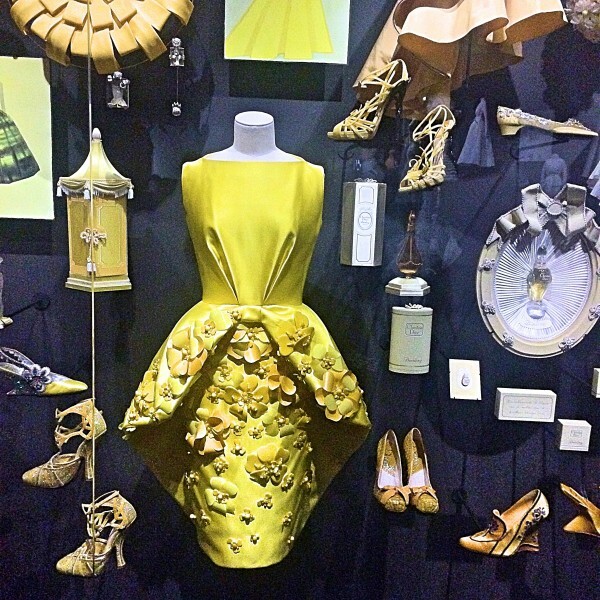 PARIS/FRANCE: The Musée des Arts Décoratifs is celebrating the 70th anniversary of the creation of the House of Dior. 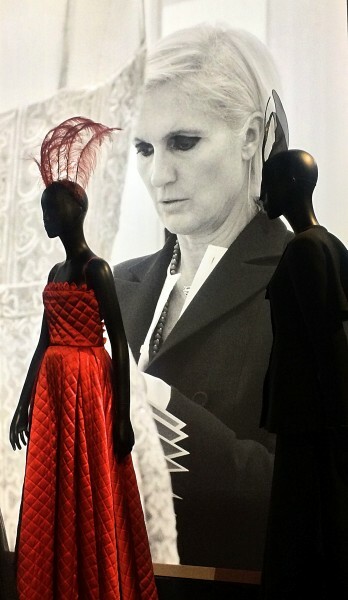 This lavish and comprehensive exhibition invites visitors on a voyage of discovery through the universe of the House of Dior’s founder and the illustrious couturiers who succeeded him: Yves Saint Laurent, Marc Bohan, Gianfranco Ferré, John Galliano, Raf Simons and, most recently, Maria Grazia Chiuri. As international critic it is always a pleasure to enjoy and write about the expositions at this place, as the professional presentation, and following up, is of the highest possible niveau. 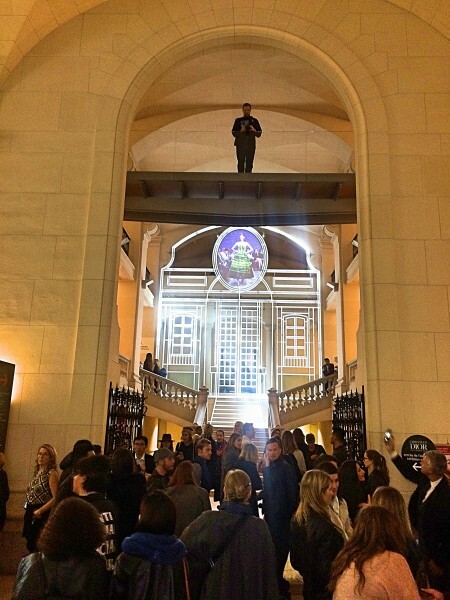 • It is open until 9 p.m. on Thursdays (Temporary Exhibitions only). 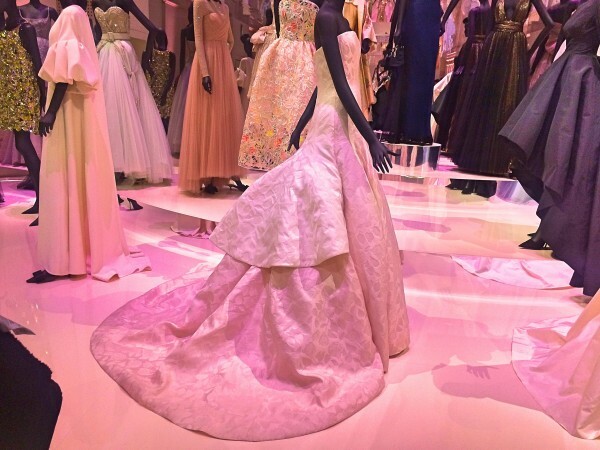 The Musée des Arts Décoratifs is celebrating the 70th anniversary of the creation of the House of Dior from 5 July 2017 to 7 January 2018. 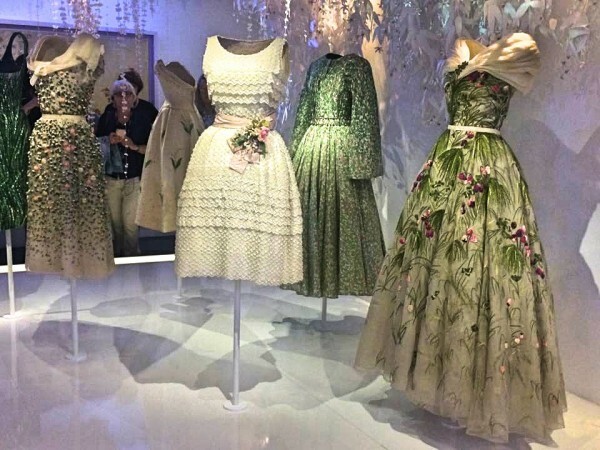 Reflecting the fact that Christian Dior was also a knowledgeable art lover who adored museums, designs from over 70 years interact with a selection of paintings, furniture and objets d’art. 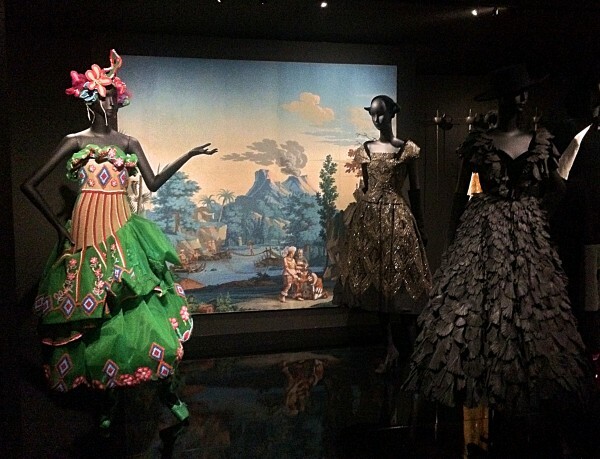 These works highlight and develop Christian Dior’s outlook by exploring the ties he forged between couture and all forms of art, defining the House of Dior’s enduring influence. 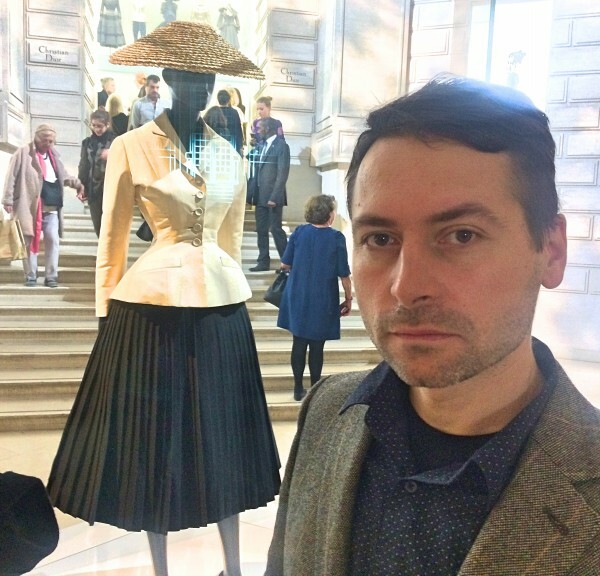 Cocktail dress – dior, Foto Tomas Bagackas. 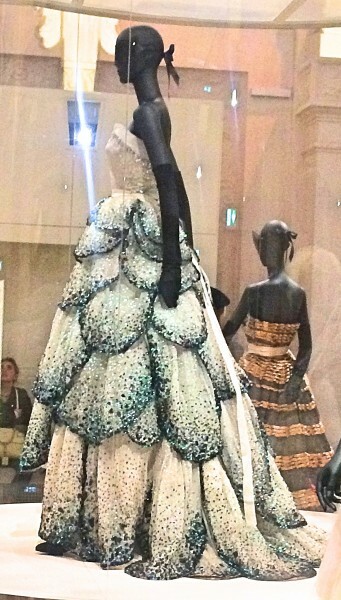 The last Parisian retrospective dedicated to Christian Dior was held in 1987 at the Musée des Arts Décoratifs. 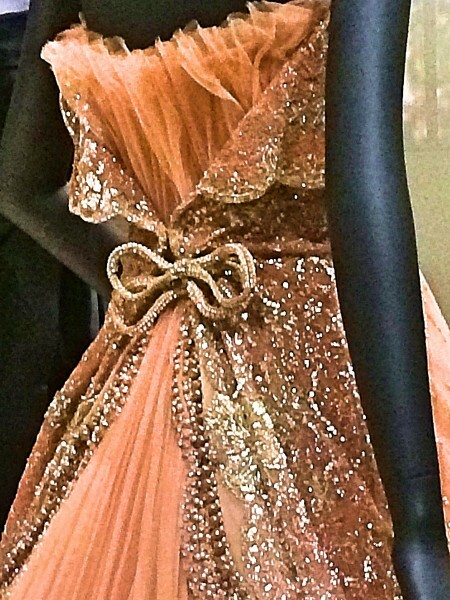 It focused then on ten years of the couturier’s designs, from 1947 to 1957. 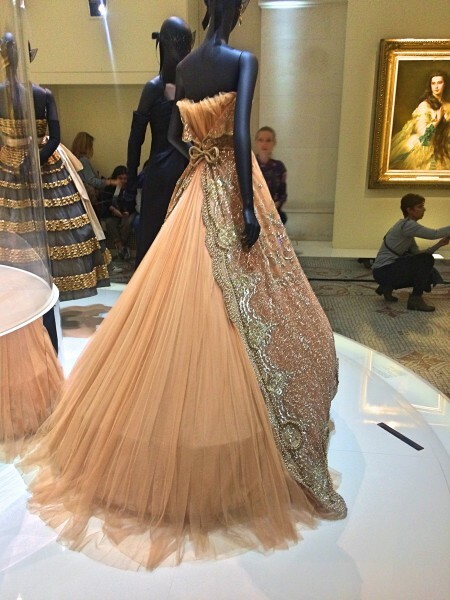 Evening dresses Dior. 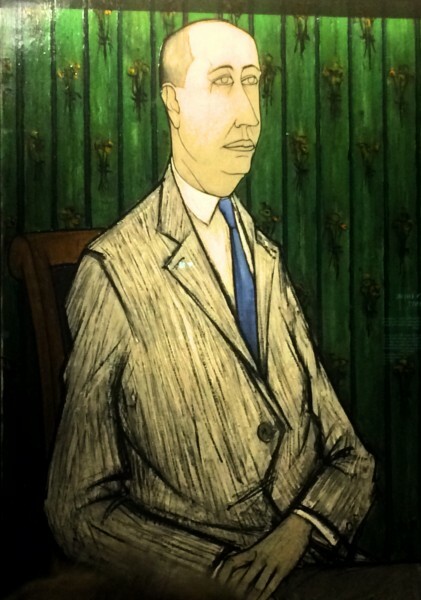 Photo Henning Høholt. Henning Høholt at dior 2017, Foto Tomas Bagackas. 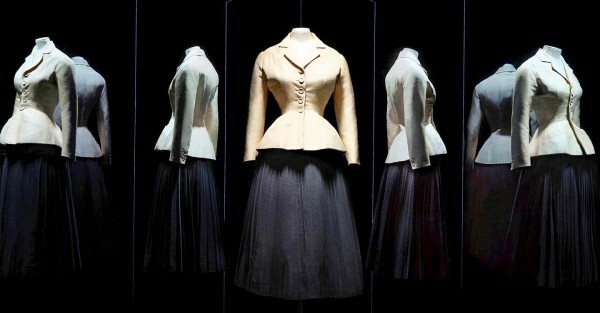 To celebrate the House of Dior’s seventieth anniversary, the new retrospective shows how Christian Dior and the six artistic directors who followed on his heels devised the brand and built up the influence of a name that is the very embodiment of haute couture in France and throughout the world. 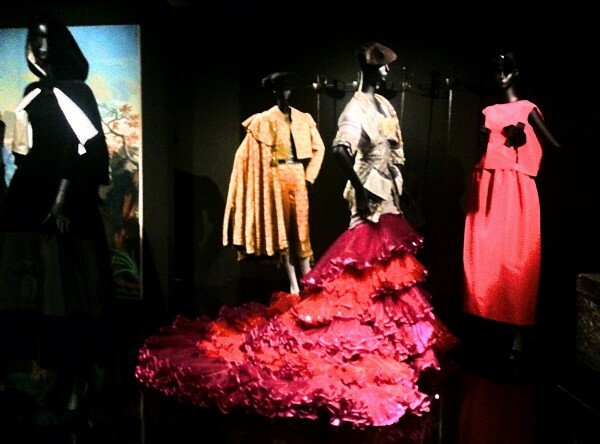 Yves Saint Laurent, Marc Bohan, Gianfranco Ferré, John Galliano, Raf Simons and today’s director, Maria Grazia Chiuri, have all drawn on their own creative sensibilities to formulate a style and a vocabulary that stay true to the original concept and to help define the House of Dior’s identity through the prism of its relationship to its era. 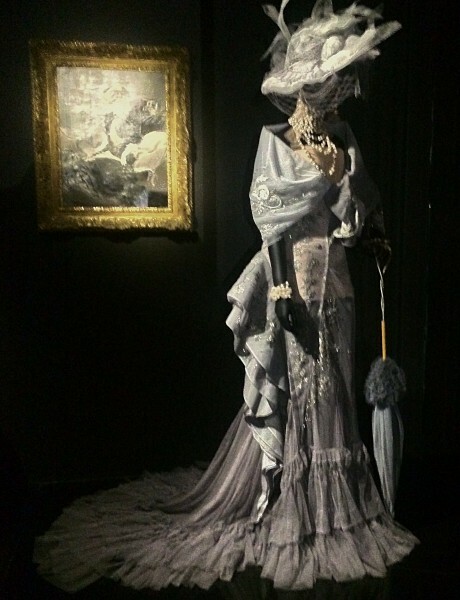 This exploration of haute couture is enriched with Frédéric Castet’s fashion fur designs, beauty creations by Serge Lutens, Tyen and Peter Philips, as well as perfume creations by François Demachy. In all the important couture houses the staff starts working in toile, so that they can start on the models, without starting cutting in, and in the worst case, eventually spoling expensive materials. This is taken care of in a whole room in the exposition, which is full of toile pieces. 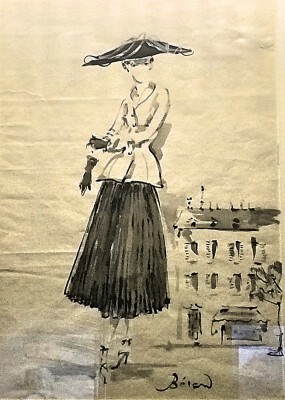 A leading figure in the world of 20th-century fashion once he launched his New Look spring/summer collection in 1947, Christian Dior took the feminine shape in a totally new direction, relegating the masculine silhouette of the war years to the past. 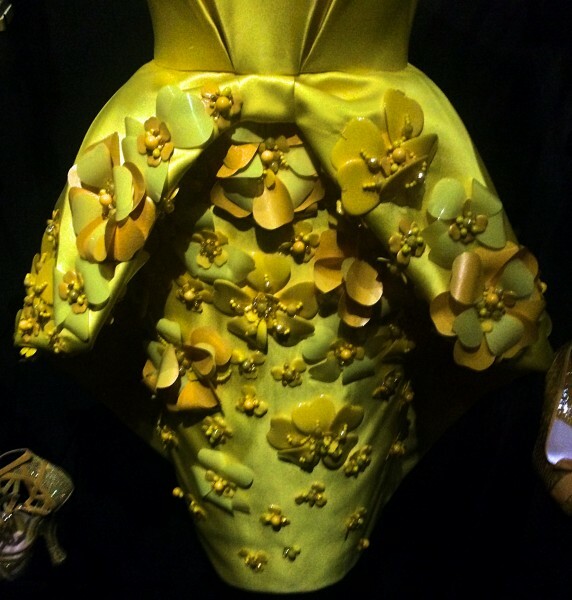 His dresses expressed a modern femininity, incarnated by his flower woman and producing a shape characterised by flowing curves and the bearing of a classical ballet dancer. The New Look featured soft shoulders, accentuated busts, nipped-in waists and hips amplified by swirling corolla-like skirts. 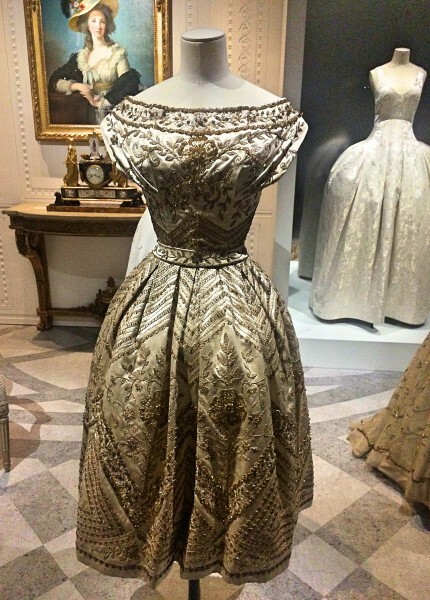 Christian Dior relaunched the textile industry with his insistence on the use of great swaths of fabric, a controversial move after the years of shortage under the Occupation. 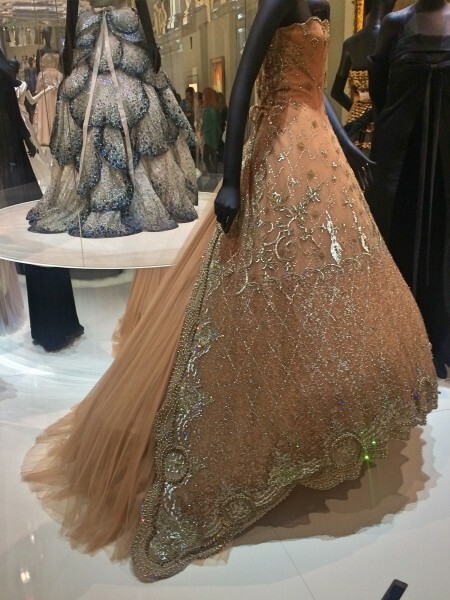 He succeeded in breathing new life into the couture tradition, giving a central role to embroiderers and craftspeople making costume jewellery and accessories. 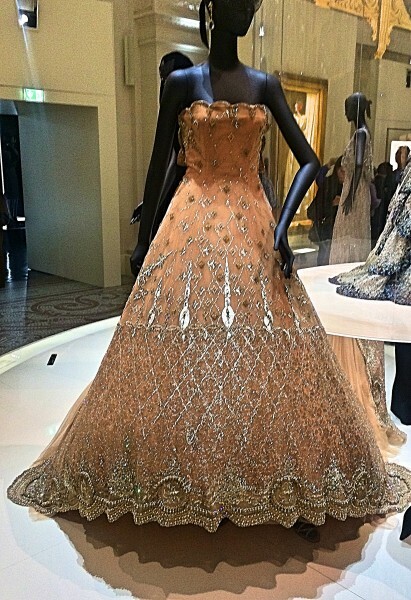 He invented an internationally-focused couture that put Paris back in the spotlight as the capital of fashion. 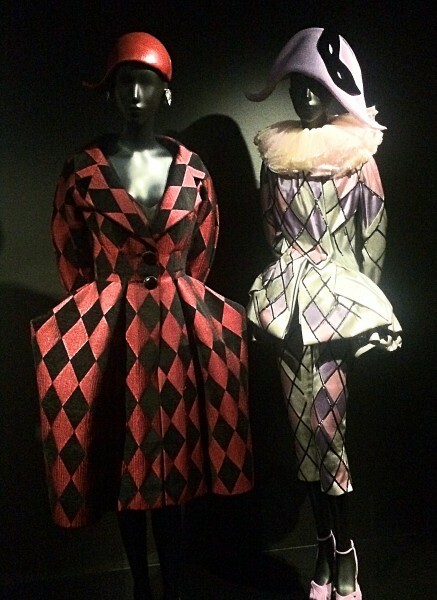 The exhibition opens with the story of Christian Dior’s life: his childhood in Granville, the Roaring Twenties when he discovered the avant-garde art world and the pleasures of Parisian entertainment, his training as a fashion illustrator and his entry into the haute couture world. 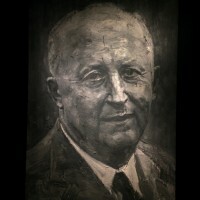 – Before turning to fashion, Christian Dior ran an art gallery from 1928 to 1934 in partnership with his friends, first Jacques Bonjean then Pierre Colle. 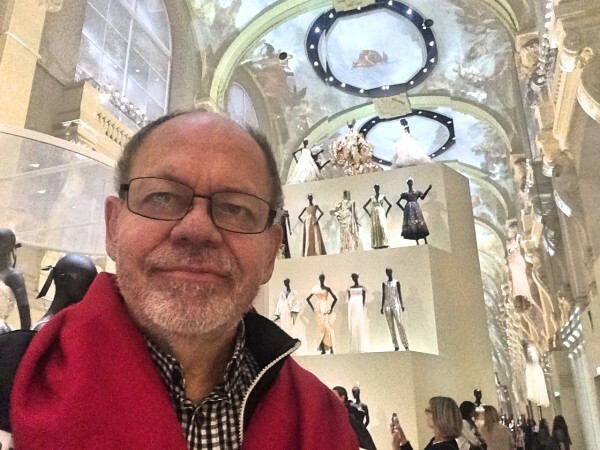 This part of his life is illustrated with a series of paintings, sculptures and documents that depict an eclectic approach to curating, the older generation of established artists rubbing shoulders with young artists who were Dior’s peers. 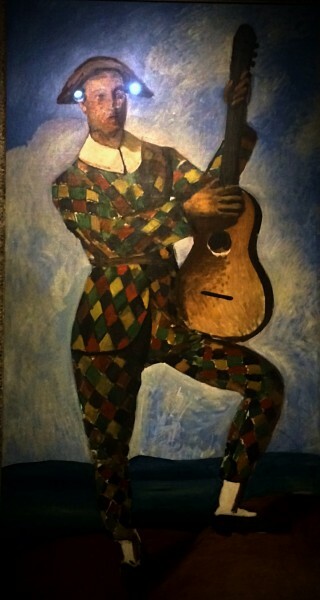 These up-and-coming talents included Giacometti, Dalí, Calder, Leonor Fini, Max Jacob, Jean Cocteau and Christian Bérard. 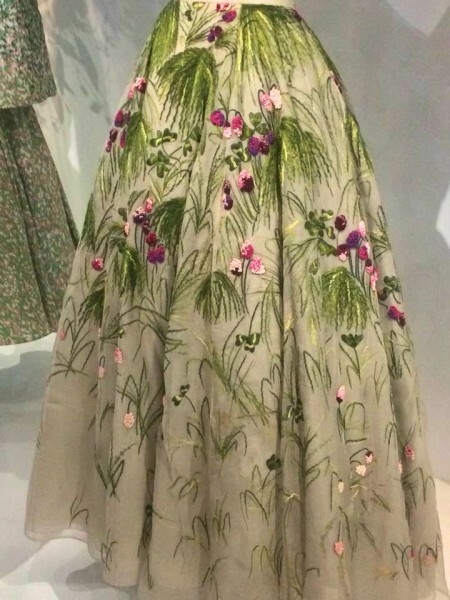 Christian Dior was a lover of antiques and objets d’art, an Art Nouveau collector, a decorator enthralled by the 18thcentury and a garden enthusiast. He drew on all these sources of inspiration to embellish his private residences and define the aesthetic for his couture house and designs. 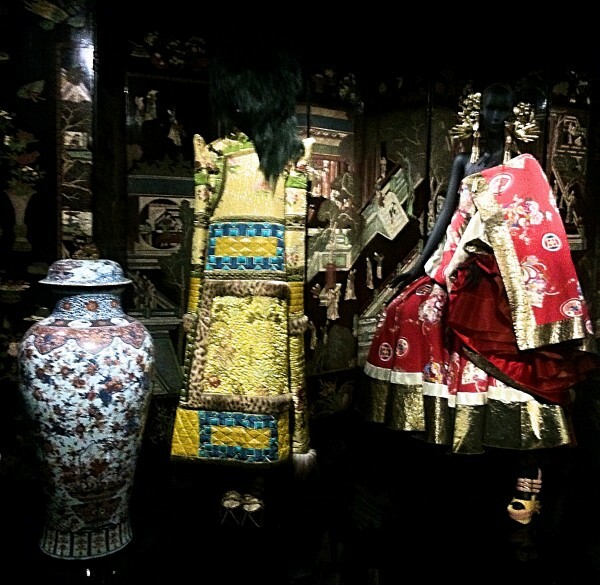 The exhibition shows us that his gowns were full of references to painting and sculpture as well as everything that makes up the art of living: wallpapers, fabrics, china and chinoiserie. Madeleine by John Galliano, Foto Tomas Bagackas. All these creative themes, revisited by his successors so that they have become an integral part of the Dior spirit, are revealed one by one: art and photography, a profusion of colours and textures, austere Parisian elegance, references to the neoclassical decorative style, the joys of exoticism, a fascination for floral motifs, and so on. Nathalie Crinière presents the themes in successive settings that suggest an art gallery, an atelier, a street, a boudoir, journeys, and a fabulous garden. 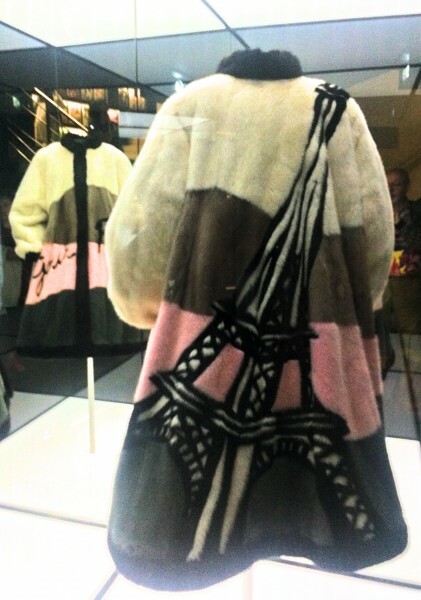 Throughout the exhibition, paintings, sculptures and decorative objets d’art illustrate the couturier’s tastes and sources of inspiration as well as a creative sensibility shared by all the artistic directors who have followed in his footsteps. Garden detail, foto Tomas Bagackas. 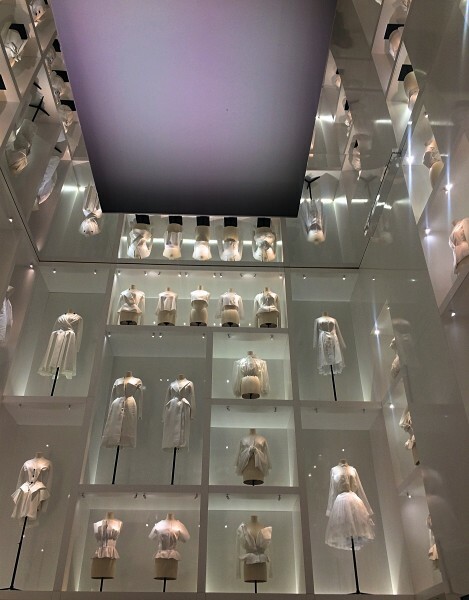 The visit continues in the nave with a chronological display spanning the 70 years from 1947 to 2017, showing the energy that set it all in motion and the legacy of the Dior spirit down the years. The iconic shape of the Bar suit that embodies the New Look opens the door to this voyage through time. 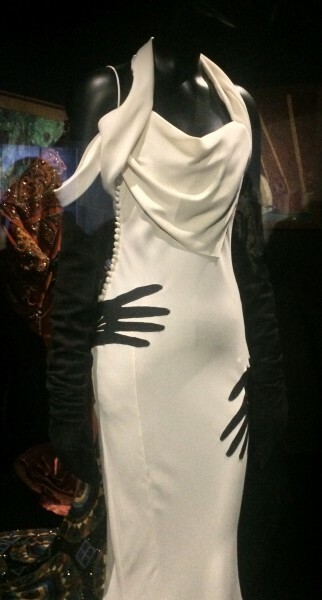 The black-and-white ensemble demonstrates every aspect of the innovation Dior introduced with his new aesthetic, triggering a golden age of fashion. The suit has continued to haunt the imagination of the fashion world and many of its couturiers and designers ever since. 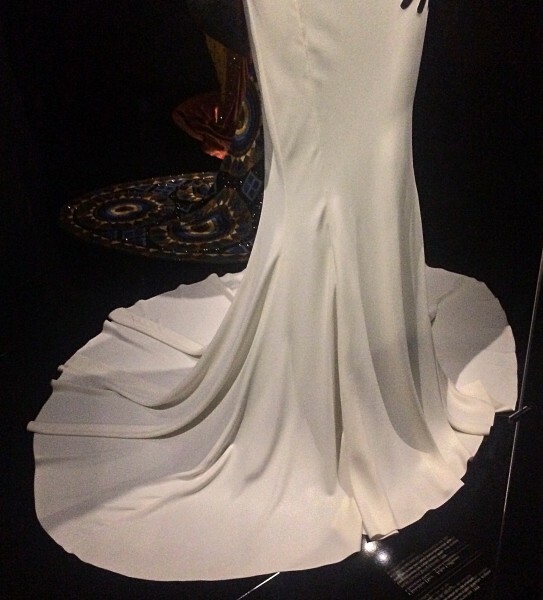 But the enduring nature of the Dior spirit also stems from the different artistic directors who carried on the couturier’s work after his death in 1957. 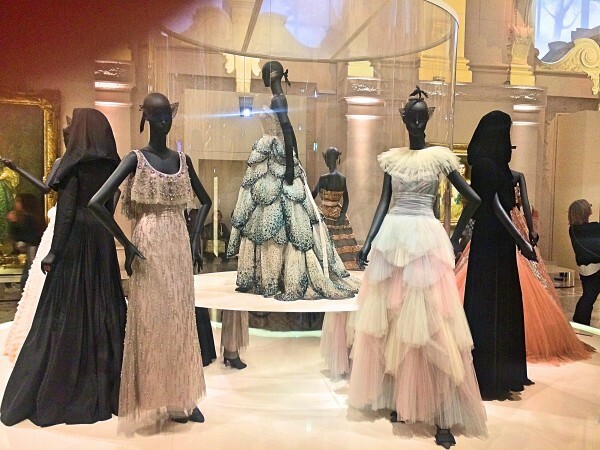 A succession of six galleries is dedicated to these figures, analysing how their designs contributed to the quest to stay faithful to Dior’s vision of haute couture. If they were not famouse when they arrived to the Dior house, then they became famouse, of course, as we all know, some more famous than others. The daring choice of the very young Yves Saint Laurent was followed by Marc Bohan’s more rational appointment. 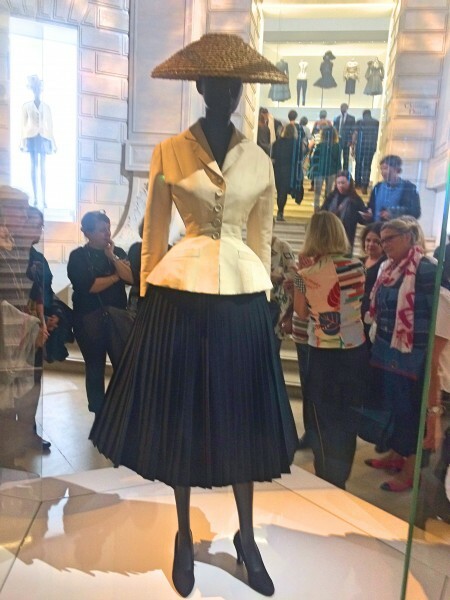 Next came the flamboyant arrival of Gianfranco Ferré, the dramatic era of fashion punk John Galliano, the minimalist statement of Raf Simons’ appointment and, lastly, the choice of a woman, Maria Grazia Chiuri, and her feminist vision of fashion. 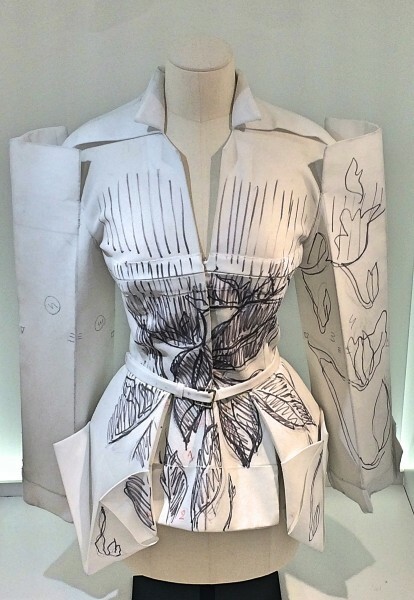 The expertise and techniques that are the lifeblood of haute couture are presented in an atelier where seamstresses are at work, surrounded by models, dressmakers, sketches and toiles. 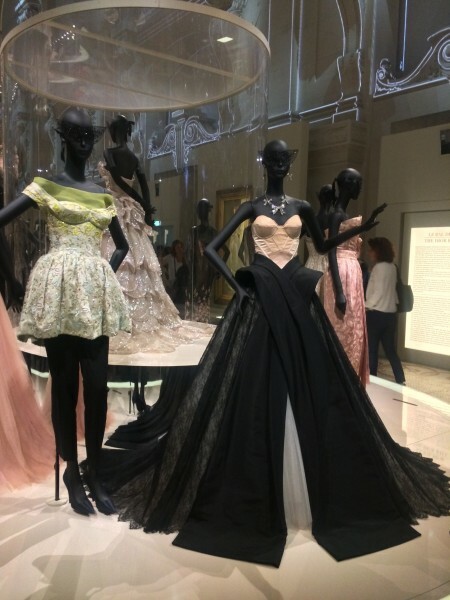 One of the galleries provides an overview of how the Dior line and allure have developed since 1947, illustrated with gowns and extracts of films and catwalk show videos. 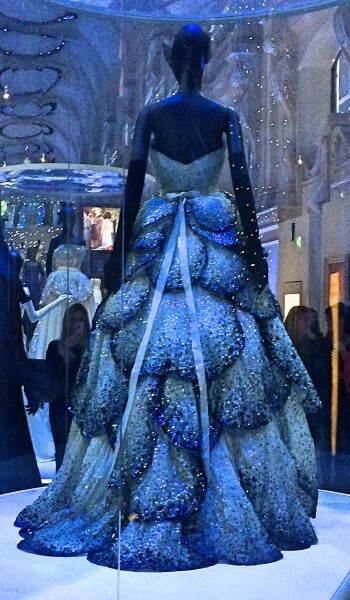 Expertise and techniques are the lifeblood of haute couture and couture! 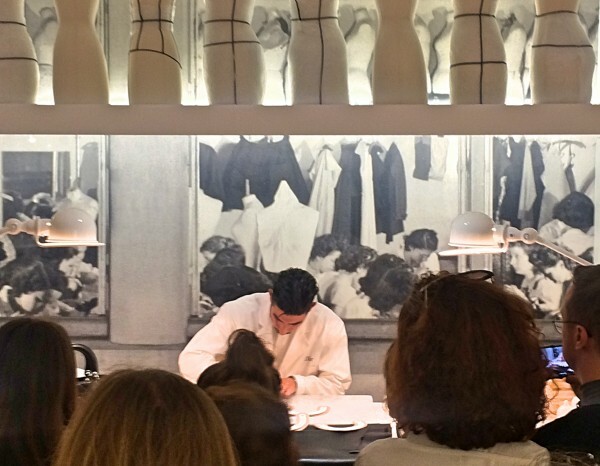 The expertise and techniques that are the lifeblood of haute couture are presented in an atelier where seamstresses are at work, surrounded by models, dressmakers, sketches and toiles. 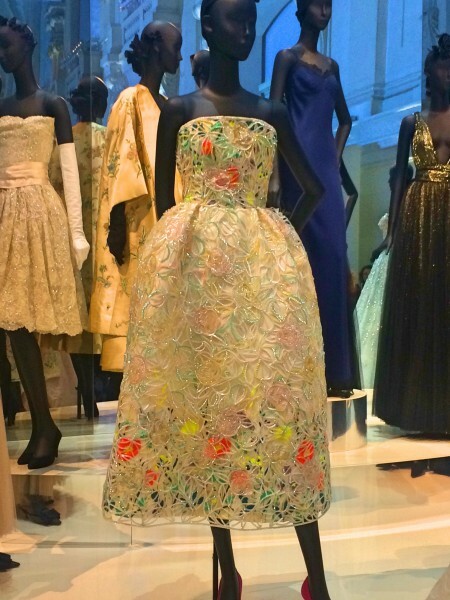 One of the galleries provides an overview of how the Dior line and allure have developed since 1947, illustrated with gowns and extracts of films and catwalk show videos. 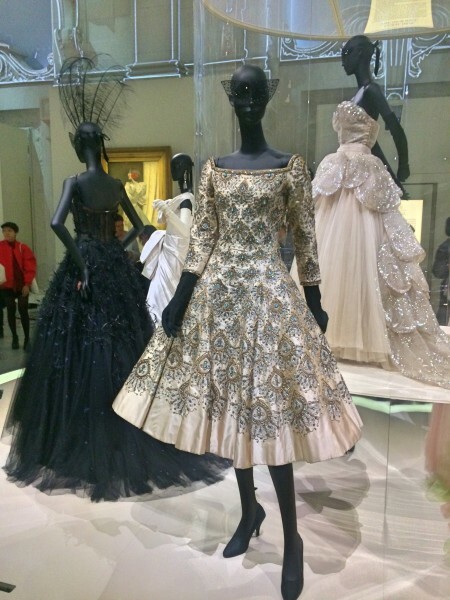 The exhibition ends in the lavish setting of the nave, transformed into a ballroom for a presentation of a series of truly sumptuous ball gowns, including several glittering creations seen together for the first time in Paris. 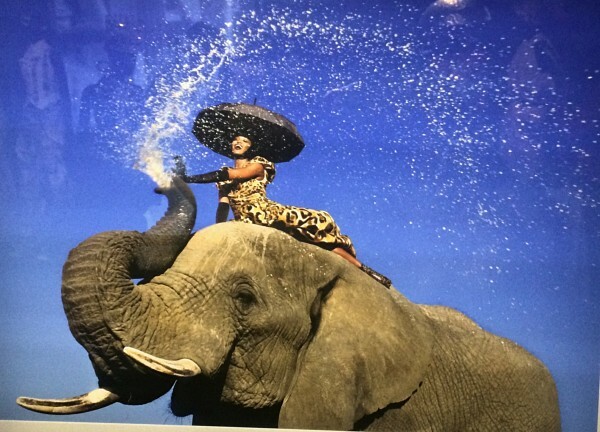 The Dior house of course cooperated with a lot of outstanding photographers, Please enjoy a charming elephant picture, photographed by Jean-Paul Goude. Some of them have been worn by famous customers who have helped to build the success of the House of Dior, including Princess Grace of Monaco, Princess Diana, Charlize Theron and Jennifer Lawrence. 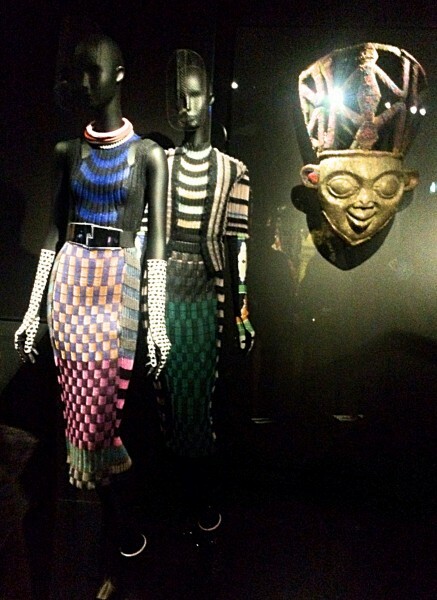 Most of the works that feature in this ambitious project are from the Dior Héritage collection and have never before been seen in Paris. The remaining pieces are special loans from the collections of the Musée des Arts Décoratifs and Union Française des Arts du Costume, Palais Galliera, Costume Institute at the Metropolitan Museum of Art in New York, Victoria and Albert Museum in London, De Young Museum in San Francisco, Fondation Pierre Bergé-Yves Saint Laurent, Museum of London and Musée Christian Dior in Granville, as well as prestigious works of art representing many different eras, from the collections of the Musée du Louvre, Musée d’Orsay and Musée de l’Orangerie, Château de Versailles, Centre Pompidou, Musée des Arts Décoratifs and numerous private collections.